The Mount Saint Mary’s Abbey is situated in the Archdiocese of Boston. It is one five abbeys of nuns who live the Strict Observance Cistercian. There are 10 abbeys of monks. Mother Sofia was born in 1982 in Beckenham, Kent and raised in South Wales; she is a 2005 Harvard grad. In 2007, Sister Sofia earned a degree masters degree from Weston Jesuit School of Theology, now Boston College School of Theology and Ministry. Sister Sofia entered the Abbey on October 15, 2007 and made solemn profession on April 27, 2014. 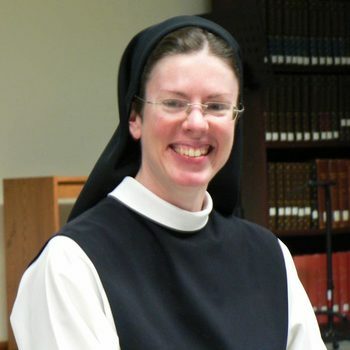 Also in 2014 Sister Sofia made two contributions to Cistercian Studies, “Spiritual Encouragement in the Conferences of John Cassian.” At the time of her election, Mother Sofia was Subprioress of the Community as well as the webmaster and production manager of Trappistine Quality Candy. Mother Sofia will be installed as Abbess soon. The newly elected abbess succeeds Mother Maureen McCabe who served the community since 2008 having reached the age of retirement according to the OCSO Constitutions, presented her resignation to the Abbot General which became effective on January 26, 2019.